We were surprised and excited when Powderbark Stud approached us about creating their website. 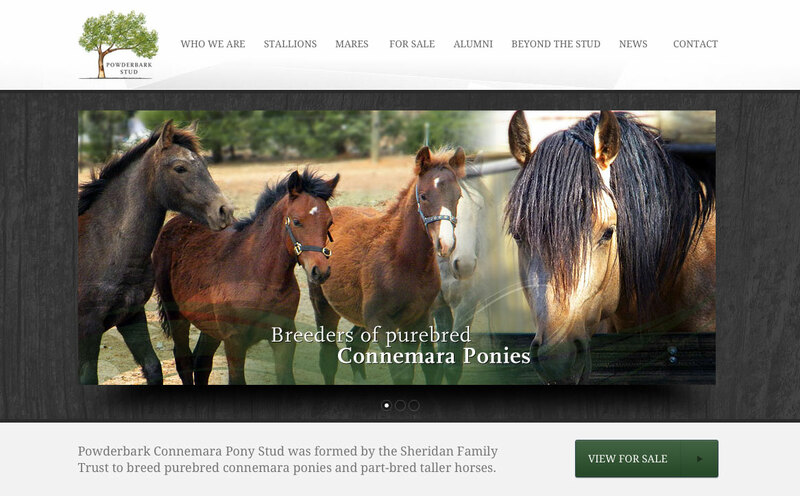 A business specialising in horse breeding is about as far away from our usual clientele as you can get! Regardless, business websites share many things in common: the need to communicate and engage with prospective customers in terms of the business focus and what it offers. We designed and delivered the website using WordPress, and provided the business owners with training in WordPress to allow them to create and manage site content themselves. Business websites are no longer static “online brochures” – they need to actively engage with their customers with new and relevant content – and WordPress was a perfect platform to achieve this. 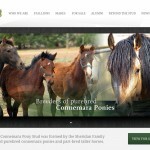 Thematically, the site presented a design that is organic and natural, from the illustrated logo we designed for Powderbark Stud, to the use of greens and earth colours, and wood grain motifs on the site. Powderbark loved the design and the ease at which they could post new blog entries and update site content and galleries with WordPress.